POW! WOW! 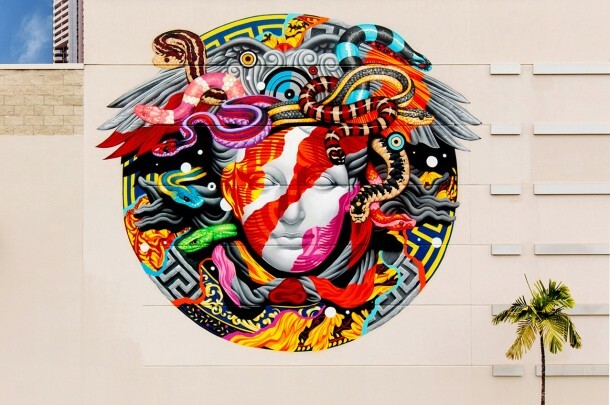 Hawaii has teamed up with California street artist Tristan Eaton to paint a giant mural for Versace. The mural exhibits Eaton’s use of pastel colors alongside his adept skills with the spray can. zexskkb,This website truly has alll of the information and facts I wanted about this subject and didn?t know who to ask. My husband and i felt so fortunate Louis could complete his inquiry via the precious recommendations he was given when using the web site. It’s not at all simplistic to simply continually be making a gift of techniques that many some other people could have been making money from. And we discover we need the writer to be grateful to for this. The specific illustrations you’ve made, the simple web site navigation, the relationships your site help create – it is many fantastic, and it’s assisting our son in addition to the family know that this article is interesting, which is certainly incredibly pressing. Many thanks for all!